HomeSocial Media10 Tips to get Traffic from Twitter! Are you struggling to harness the power of Twitter for your blog? Any blogger worth their chops , you wants more followers, more engagement and, of course, more traffic for their hard-earned content. In the Twitter world, there are bloggers killing it on Twitter, and the social media channel can be a bit overwhelming to the novice. The platform already seems super noisy and has experts on every topic known to man. So what can you do to stand out? You might worry that you need a sophisticated Twitter strategy, but don’t stress. If you focus on a few simple tactics, you’ll easily tap into a community that will support your work and drive the traffic your content deserves. And even if you don’t have tons of followers just yet, you can make the most of those you do have, and start to get on the radars of the influencers that matter. 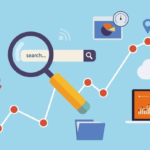 Regardless of whether you’re a big fish or a tiny minnow in the Twitter pond, you can use the following tactics to get more traffic for your content today. Twitter now features visual content more prominently by auto expanding the images in your tweets, so accompanying your content with an image is more important than ever. Stunning visuals will go a long way to help your updates stand out amongst the other tweets in your followers’ text-dominated Twitter streams. In fact, studies show that tweets with image links get two times the engagement rate of those without. Images can be up to 3MB in size and must have the GIF, JPEG, or PNG format. The photo will be automatically scaled for display in your expanded Tweet and in your user gallery. To find quality images that are free (and copyright free), use Flickr copyright free images, Free Range Stock, Unsplash or browse through the free stock images iStock releases every week. Alternatively, look to purchase a subscription to iStock, Shutterstock, Corbis, Thinkstock or one of the many other databases of stock images. You can create your own images using Adobe Photoshop, GIMP or Evernote’s Skitch. 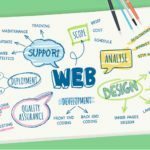 A highly clickable image often includes the headline of your blog post in large text, centered in the middle with a simple image in the background behind the text, which somehow relates to the topic of the original blog post. However you decide to use visual content though, it’s sure to drive more traffic to your blog than plain old text. 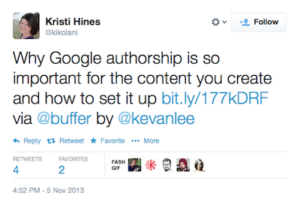 When tweeting links, never give too much away about the content in the body of your tweet. If a reader can guess the entire story simply from reading your tweet, why would they click your link to read more? Frame your tweets to highlight both the benefit of the content and to generate curiosity. And speak plainly, eliminating the use of complicated words. One way to tease your audience is to ask a question that begs for an answer. And don’t use all of your 140-character limit. According to research by Dan Zarrella, tweets that are between 120 and 130 characters receive the highest click through rates (CTRs). Think of this as your sweet spot for writing engaging tweets – giving more room for other users to organically retweet your content also helps. Posting the same update to a social channel several times is considered bad practice because it provides little additional value to your audience. However, updates are easily missed on Twitter and your followers may be genuinely disappointed to miss out on your latest post. To share the same content several times without annoying your audience, alter the images and text used in the tweet. Make the first with the original headline, a link and a photo from the post. Next with a quote and a link to the article. 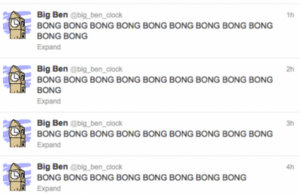 These tweets should be posted at different times of day for maximum visibility. You can easily do so by using a Twitter scheduling tool like HootSuite or Buffer to schedule your tweets. You can even tweet the same content on multiple days, but don’t promote the same content more than three to four times in a single week. And the promotional tweets should always be spread out among other tweets – otherwise you’ll sound like a broken record and irritate your followers. Done right, this technique will get your tweets in front of many more of your followers than tweeting only once, all without you having to worry about spamming your audience. When you show up in someone else’s stream (or appear in the Who to follow side bar), the only thing they will see is your name, profile photo and possibly your tweet. If they want to find out more about you, they’ll click on your Twitter profile. The first thing people see about you is your Twitter bio! Most people use their Twitter bio to list information about themselves and their occupation, and then in the website field, they include a link to their blog home page or website. Be sure to update this information regularly so that your Twitter presence is always in step with the latest content on your blog. Your Twitter community can be quite helpful with informing the direction of your content. So let them tell you exactly what to do. Poll your Twitter audience by asking what type of issues they typically face. By showing interest in the challenges of others, you can create a circle of give and take that builds trust and familiarity among users with similar interests. 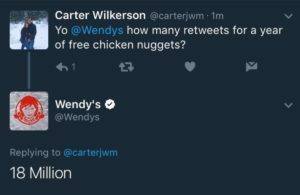 Imagine the amount of Twitter cred Wendy’s picked up with the now famous Carter Wilkerson chicken nuggets tweet… And Carter got his #nuggs. When you have enough responses to identify any trends, create blog content answering those specific questions. Once published, share this content on Twitter and be sure to @mention the users who had asked about those questions in the first place. If you don’t have a large enough following on Twitter yet for a survey, that’s okay too. Twitter is still a helpful tool for conducting research on the topics people talk about most. Use Twitter search to find references to the topics your blog covers and try to identify common questions and concerns. This will help ensure that your blog continues to provide content of true value to readers. 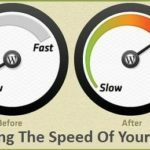 Either way, content tuned to the needs of your audience will attract more traffic to your blog. Building relationships on Twitter is vital to your long-term success and, as mentioned earlier, who is in your community is particularly important. Consistently tweet the content of the other influencers in your niche (even if they’re your competition), making sure to mention their handle and, of course, include a link to their article. Adopt the 80/20 rule – 80% of your tweets should highlight the content of others, and 20% your tweets should promote your own content. When you tweet… They will follow. Start to communicate directly with Twitter power users both publicly with @mentions and then privately with direct messages (once they’ve followed you) to deepen the relationships. These relationships will increase recognition of your tweets within your community, which will drive more traffic to the blog posts you’re sharing. According to Expanded Ramblings, tweets with hashtags receive two times more engagement than those without. And the more engagement with your tweets, the more visibility they get and the more clicks your links receive. Use hashtags related to the subjects of your blog posts so users searching for your expertise on Twitter can find your tweets. Brainstorm possible hashtags for your posts, then find which are the most popular using the search function on Hashtags.org. 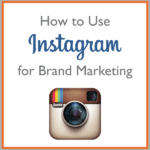 Pay attention to the hashtags influencers in your niche are already using for similar topics. Find any relevant trending hashtags using WhatTheTrend – occasionally you may be able to tap into those too. Be consistent by using the same set of hashtags over time to help better associate your audience with the subjects you tweet about and the topics your blog covers. But don’t overdo it. Don’t use any more than three hashtags per tweet, otherwise you risk affecting the readability of your updates. You can create your own hashtags too, but balance the use of original hashtags unique to your blog with more generic, trending hashtags. For instance, if you blog about astronomy, you could include generic hashtags like #stars #explorer #thesky, as well as original hashtags like #tuesdaystargazing #katiesastrotips. People are what make a social network like Twitter successful. If you want to achieve a specific goal, like driving blog traffic, interact with people online how you’d communicate with them offline. Share your personality, humor, likes and interests mixed in with your professional content. 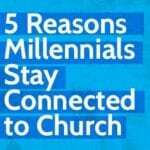 And share a variety of insights on what you know and love to help others learn more about you as a real person. This might mean taking a funny angle on your industry to help make it both interesting and relevant, which will ultimately lead to more followers. Even if you tweet about a topic that has nothing to do with your blog, genuine passion will shine through and attract people to you. Draw your audience into your interests and preferences by tweeting content you find valuable, informative or just enjoyable. If a Twitter user appreciates your unique personality, they’re more likely to trust your tweets and visit the relevant links you’re tweeting. While expressing your ideas on Twitter and establishing your own authority is important, stealing from others is sometimes okay too. Find thought-provoking quotes to include in your tweets – people love sharing pithy sound bites. Quotes from thought leaders, experts and well-known authorities will help associate you and your content with the recognized voices in your industry. If your posts include interesting statistics and figures from other people, pull them out and include them in your tweets as bait to drive more traffic to your blog. Bold and simple statistics stand out in a Twitter stream otherwise dominated by words. People already doing this well on Twitter include Neil Patel, Dan Zarrella, Doug Karr and Amanda Nelson. Sometimes, particularly when you don’t have a large following, organic sharing of your content is not enough. So consider paying to increase the visibility of your tweets by experimenting with Twitter’s promoted tweets product. Promoting your tweets allows you to target the right demographic by focusing on the keywords, interests, geography and devices that match your audience. Twitter has a great ad platform. Twitter’s ad platform is self-serve, which makes it is easy to set up, maintain and stop and start as required. The best part about the self-serve feature – you can tailor your campaign to suit your budget. The Twitter analytics platform allows you to monitor the success of your campaigns (as well as your regular Twitter activity), to better inform who you’re targeting and the budget you’re applying to boost your tweets and drive traffic. Most bloggers are on a budget, which is why you should select the tweets you promote carefully. 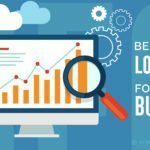 These tweets could include links to your most popular evergreen content or in-depth content used to generate leads, original statistics on your industry, or simply the most compelling tweets that illustrate your unique take on the market. Always ensure that the tweets you’re promoting will make sense to users who are not already familiar with you. Twitter users unfamiliar with your account shouldn’t need a strong context of who the tweets came from to understand your content. For each campaign, split your budget 50/50 between users on mobile devices and desktop to see where your tweets gain the most traction. As your paid campaign continues, allocate more of your budget to where your tweets are most effective, and lessen your spend on the other targeting option. It’s always a good approach to start simple and see what kind of results you achieve when experimenting with paid Twitter advertising before dedicating more time. Are You Ready to Tweet Your Way to More Traffic? You won’t become a traffic powerhouse on Twitter overnight, but if you follow these simple tactics, you can build your presence into a valuable source of new visitors and subscribers for your blog. And although having the social media following of a billion dollar brand like Coca Cola would be great, getting results from a Twitter following you’ve built yourself from scratch is actually more rewarding. To succeed as a blogger on Twitter, dedicate time to your community, express your interests consistently and promote your content sparingly. Pick a handful of tactics to implement and set yourself some simple goals for your first month. Try to gain 100 new followers, have meaningful conversations with 30 more influential Twitter users in your network, and gain the first trickle of new traffic from your tweets. Building a traffic-driving presence on Twitter is within the grasp of anyone who’s willing to put in hard work, be consistently generous and let their natural wit and personality shine through. What are you waiting for? See you on Twitter! About the author. Brian Honigman is a marketing consultant, professional speaker and a freelance writer. He’s written for Forbes, Mashable, the Huffington Post and others.